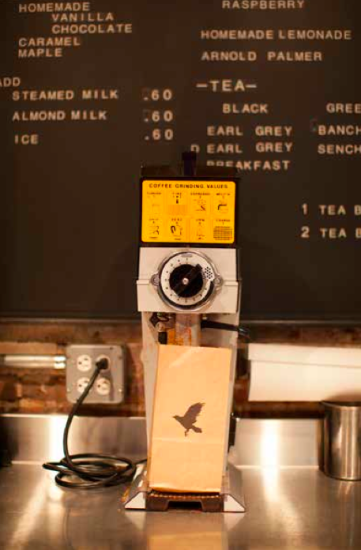 Before the days of single-origin microbatch coffees, or baristas sporting Jazz Age garb and flashing finely honed tamping and milk-texturing techniques, there was a tiny oasis of quality coffee and community near Gramercy Park. Opened in 1996, 52 Irving Place offered a range of 10 to 12 coffees, including daily single-origin and house-blend coffees—all in an era when the go-to source for one’s morning fix was most often a deli or diner. 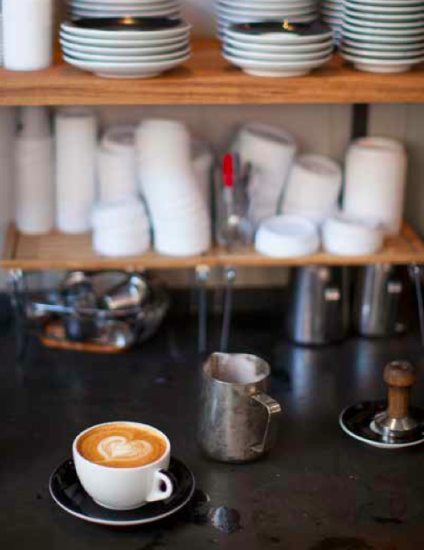 Seventeen years later, the city’s coffee scene has come a long way—as has the company behind that trailblazing café, Irving Farm Coffee Roasters. Today it encompasses four Manhattan cafés, a high-tech roasting facility up in the Hudson Valley and a well-appointed Flatiron training lab. It has developed direct ties to a patchwork of small coffee growers in Central America and as it has matured, so has the quality of its product line, roasting techniques and brewing know-how. So much so that Irving Farm’s coffees are now also sold at Whole Foods and served at Blue Hill, City Bakery and Craftbar. Founders David Elwell and Steve Leven launched their company after meeting as undergrads at Syracuse in the late ’80s. An early foray into the lawn irrigation business followed, then, for Leven, a stint at NYU film school. They were entrepreneurs at heart, though, and the only real question was what they were going to sell. They had taken note of the success of Vermont-based Green Mountain coffee, as well as Starbucks’s nascent Eastward expansion, and the idea for a new business began to germinate. The Seattle-based behemoth-in-the making only had about 10 shops in New York in 1996, but Elwell and Leven saw the coming barista-driven wave that would soon wash over Manhattan and the entire nation. To open 52 Irving Place, located on the garden level of a brownstone, they broke their budget to buy a salvaged mahogany bar, reputedly reclaimed from the oldest bar in Williamsburg, dating back to the mid-1800s and covered in more than eight layers of paint that had to be stripped. They sourced their coffee from the venerable purveyor Dallis Bros., which roasted its own beans and made custom blends for top wholesale clients. “Pretty early on we were doing a lot of single-origins,” recalls Leven: “Kenya AA, Colombia Supremo, Hawaiian Kona, Ethiopian Yirgacheffe.” The day of buying beans directly from farmers had not yet dawned; most of these coffees were from larger, mostly government-run cooperatives, and quality could be a mixed bag. By 2000, Elwell and Leven’s business had grown large enough that coffee wholesaler David Dallis, who had become their friend, suggested they try their hand at roasting their own coffee. Dallis, the third-generation owner of the company, taught them the basics of sourcing and roasting. 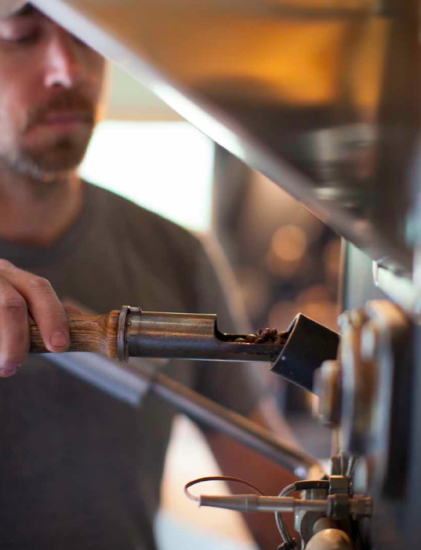 Intent on roasting their own, Elwell and Leven purchased a 110-year-old former dairy farm up in Millerton, New York, invested in equipment and quickly learned that it wasn’t going to be as easy a skill to master as they thought. “We were roasting only one day a week initially with very basic roasting machines, relying on memory and taste to replicate our roasts,” recalls Leven. “We heard a lot of feedback and learned from our customers,” who were not shy about reporting when they liked a previous blend or single-origin roast better. But they learned by doing and soon, in addition to their café (which they relocated one block north to 71 Irving), added wholesale clients to their roster, supplying coffee to discerning restaurants such as City Bakery, Petrossian and the late great Verbena. 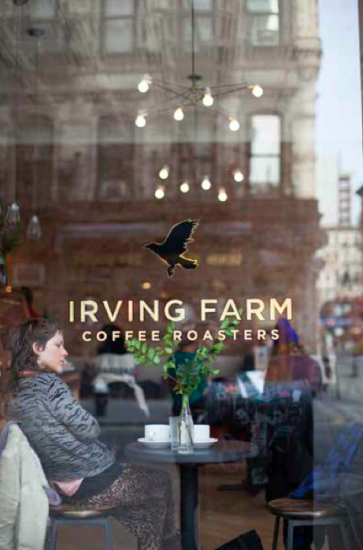 As the decade passed, Manhattan’s coffee scene exploded, and so did Irving Farm’s reach and know-how. In 2010, in keeping with the public’s growing obsession with making the best pour-over, the most satisfying cappuccino, the latte whose foamed milk cap belongs on a museum wall, Elwell, Leven and Clyde Miller, Irving Farm’s head roaster and plant manager, began experimenting with smaller-batch single-origin coffees, which allowed for more control over each coffee’s flavor profile. In 2011 Elwell and Leven further upped the company’s game with two important hires: coffee director Dan Streetman, to source outstanding single-farm coffees and forge relationships with coffee collectives, importers and individual farmers; and education director Tamara Vigil, who headed the company’s Flatiron training lab, a finishing school for Irving Farm café baristas and those tasked with coffee service and sales for wholesale customers. The company shed its gorgeous but old-timey Louise Fili package design for a handsome black-and-white, streamlined modern look that telegraphed seriousness of purpose. These moves added up to a full-on play by a small business to enter the big leagues. Although Elwell and Leven had made buying trips to Costa Rica, Nicaragua and Peru, Streetman’s arrival marked a switch to searching out high-quality micro-lot growers whose products would satisfy increasingly discerning tastes back home. Streetman’s first sourcing trip was in 2011 to El Salvador, to visit a collection of family farms that had been growing for four generations. He found what he was looking for: a coffee suitable for Irving Farm’s house blend that could also stand on its own. It was an elegant coffee with good body and milk chocolate and smooth leather tones that now goes by the name Guadalupe. The trip was a success, and while Irving Farm’s staff wasn’t ready to promote coffees that were so different and required detailed knowledge to describe, the company had declared its intentions. Streetman has since returned to the same community in Honduras and developed strong relationships with its farmers, who have grown along with Irving Farm. In 2011 the top grower submitted 150 pounds; last year, Streetman bought 30 times that amount from him. Personally knowing its farmers gives Irving Farm’s coffees a level of transparency that Streetman says often surpasses even Fair Trade designated coffees—which set a standard minimum price to growers and which regulate certain features of coffee cooperatives’ structure and spending on community projects. Rather than simply buying beans that bear a certification, he’s gotten to know the farmers themselves, a process akin to knowing your Greenmarket farmer instead of just relying on an “organic” label on a package. Streetman himself has seen the motorized mill in the backyard of one Honduras owner, Jose Francisco, and witnessed the process of pressing the freshly picked coffee cherries between two metal wheels to separate the fruit from the seed, the 12- to 15-hour fermentation that follows (which both imparts flavor to the seeds and separates them from the fruit pulp), then the washing, drying and sorting of the coffee seeds, or beans. Such close grower-buyer relationships, along with efforts to improve crop quality, are good for the farmer, too. Streetman learned that “cup quality and premiums associated with that are worth more [to the farmer] than producing five times that amount” since they command at least double the current market price. Once the beans make it to Millerton, says Streetman, “It’s magic time.” They experiment with different moisture levels and roast densities, creating a computerized profile of every roast. When Streetman does a cupping, or tasting, and likes a particular batch, he can look up the profile and easily replicate the roast. 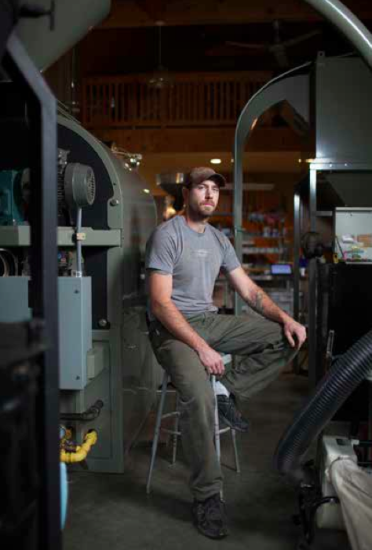 In addition to honing their roasting skills, Irving Farm continued to develop relationships with wholesale customers. In 2011, when chef Dan Barber began thinking about offering only in-season or new harvest beans, an unknown concept at the time, “Irving Farm was the only coffee company willing to talk to us about that,” recalls Blue Hill vice president Irene Hamburger. Every season, Irving Farm introduces three or four of its new harvest coffees, and Blue Hill picks the one it will serve to guests. Irving Farm’s “know your farmer” principle took on a whole new meaning in the case of two of its single-origin coffees, the Salvadoran Talnamica and Natamaya, both grown on farms owned by a family that lives down the street from their West 79th Street café. Salvadoran Herman Mendez, a pediatrician, and his wife, Nena, a psychologist, have lived in the U.S. since 1980, but Nena’s family has been in the coffee business for five generations. They were selling to a Seattle roaster when, in 2012, Nena happened into the West 79th Street café and saw a giant blow-up photograph of a good friend’s coffee farm in El Salvador. Introductions ensued, then a February 2013 trip by Streetman to the Mendezes’ two farms. By last June, Irving Farm was selling the Mendez family’s coffees. 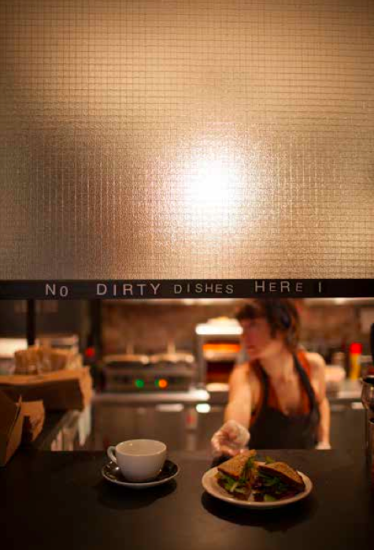 Today their daughter Amalia Mayita works as a barista at the 79th Street café. She participates in regular cuppings, which involve grading sheets and a flavor wheel, and says she loves how curious people are about new coffees and brewing techniques. In addition to sourcing and roasting, Elwell and Zeven have extended their commitment to the bean by teaching clients exactly how to brew and serve it. In 2012 they hired Teresa von Fuchs to direct the wholesale side of the operation and train restaurant and café clients on how to brew the perfect cup, from measuring and weighing both coffee and water and grinding the beans to equipment maintenance. She coaches clients on techniques that range from pour-overs using flat-bottomed Kalita drippers (which allow more even extraction than cone-shaped drippers) to cold brewing. She calls brewing and serving “the make-or-break moment, when all the hard work of the farmers, of Dan and Clyde, can be completely screwed up” if not executed with care and precision. This holistic vision of what it means to be in the coffee business has paid off for Elwell and Leven. In the last year and a half, they’ve opened three new Manhattan cafés, each with its own style: a sleek, machine-age-looking café for the dining concourse at Grand Central Station, which opened last May; for the café on West 79th near Broadway, which opened in June 2012, a below-street-level sanctuary that feels like an Arts-and-Crafts respite. Their most recent opening was actually a take-over of a café at 88 Orchard Street that had been one of Irving Farm’s early wholesale accounts. Elwell and Leven outfitted the snug space with beautiful pieces of handcrafted walnut, oak and maple, as well as a reclaimed walnut countertop. All told, what started as one tiny café now sells 300,000 pounds of coffee a year, says Leven, and boasts about 100 employees. Future plans include a “public garage type space” for the company’s Manhattan office and training lab, as well as for industry and public events. A fifth Manhattan café is also in the works. This summer Elwell and Leven will unveil a new 7,200-square-foot roasting facility in Millerton that will include a cupping lab and a climate-controlled storage facility.